View of Jahangir Palace with chhatris on the background. Jahangir Mahal is a token of friendliness between Prince Saleem (future emperor Jahangir) and Vir Singh Deo Bundela, ruler of Orchha. 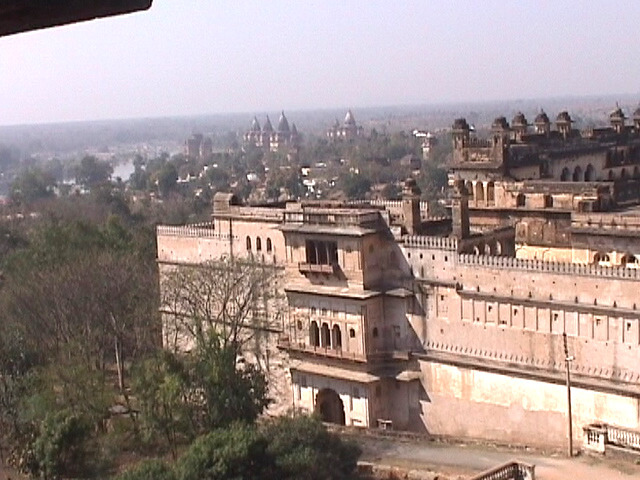 Jahangir had visited Orchha on the day of Vir Singh's ascending on the throne of Orchha in 1663.